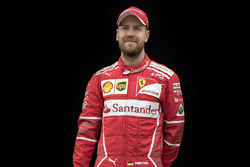 With Lewis Hamilton now all-but-certain to claim his fifth world title and be crowned as the 2018 drivers’ champion, year-long championship rival Sebastian Vettel will be left to rue the mistakes that will almost-definitely allow his rival to take the top honours with races to spare. The ingredients were there to make the 2018 a close, hard-fought affair; two four-time world champions aiming to beat each other to a fifth and two giants of the automotive industry with unlimited budget developing their cars until the very end to give their drivers every chance of winning. Instead, with Hamilton taking his fourth win in a row – his sixth in seven races – the championship is on the verge of being decided with three races remaining on the calendar. With the gap between the two drivers being as big as it is, it’s tough to point to just one event that was the difference between them. With both teams taking turns at being 'the fastest car' over the course of 2018, for a championship to be – potentially – decided this early, a number of Grands Prix must not have gone to plan. From a statistical point of view, Vettel has never finished behind team-mate Raikkonen in more than six races a season, but he has finished behind the Finn six times already this year, with four races still to go. So where did his championship challenge falter? We take a look at the key moments in Vettel’s 2018 challenge. Leading an all-Ferrari front row lockout, Ferrari were firm favourites for the win in Shanghai. However, rear-gunner Kimi Raikkonen was passed by Mercedes’ Valtteri Bottas at the start of the race, with Vettel then falling foul of the undercut to fall behind the Finn. 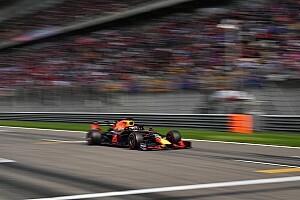 With the safety car deployed for a collision between the Toro Rosso drivers, both Ferrari and Mercedes drivers were disadvantaged; quick-thinking Red Bull pitted their drivers for fresh tyres, resulting in Verstappen and Ricciardo scything their way through to threaten the race leaders. 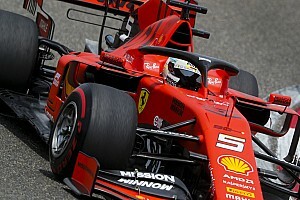 An ambitious attempt by Verstappen resulted in a collision between himself and Vettel, sending the Ferrari driver – and his damaged car – down to an eighth-placed finish. On pole position for the third race in a row, Vettel was in control of the event until the second safety car period was called for the collision between Vertappen and Ricciardo. Bottas had stayed out longer whilst all other leaders had made their pit stop, so kept the lead of the race when everybody came in for fresh tyres under the safety car. At the restart, Vettel, also under threat of being overtaken at the end of the huge start-finish straight, made a move on Bottas. This backfired. He locked up, ran wide, lost positions and eventually finished fourth, with rival Hamilton inheriting the lead from last-lap-retiree Bottas. Now leading the championship by one point, Vettel’s attempts to unhinge an all-Mercedes front row at the Paul Ricard Circuit backfired; he locked up into turn one and clattered into second-placed Bottas, sending them both to the back of the field. Vettel recovered to fifth, but Hamilton was untroubled in taking his third win of the season. 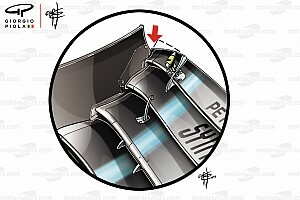 Perhaps one of the biggest turning points of the season: From the race lead, Vettel made a painful error at the Sachs Curve in damp conditions to send his Ferrari skipping across the gravel trap and into the tyre barrier. This handed the win to Hamilton - who had fought his way from fourteenth on the grid to second – and had the effect of changing the outcome of the drivers’ standings by 32 points (the 25 lost for Vettel plus the extra seven gained by Hamilton). Undone by wet weather at the previous round in Germany, Vettel’s weekend was once again affected by an undesired rain shower. With Ferrari having the fastest car around the Hungaroring, a wet qualifying session hampered their hopes of a win. Starting in fourth behind the two Mercedes and team-mate Raikkonen, Vettel moved up to third on the opening lap and spent almost the entire race trying to find a way past Bottas, eventually succeeding with only a few laps to go, finishing a distant second to Hamilton. After winning at Spa-Francorchamps, expectations were high for a Ferrari victory at Monza. Vettel, however, was beaten to pole by team-mate Raikkonen, although he did edge Hamilton to a front row start. Unable to overtake Raikkonen at the start, Vettel came under pressure from Hamilton heading into the second chicane. Side-by-side, contact between them sent Vettel spinning and to the back of the field. 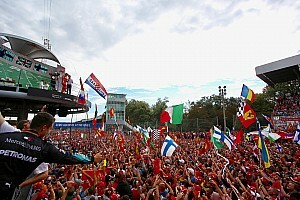 He recovered to fourth, but Hamilton dealt maximum damage by beating the other Ferrari to the Monza win. Following back-to-back rounds of Hamilton edging further ahead in the drivers’ championship, Vettel – who started eighth due to qualifying on the wrong tyre in wet-dry conditions – set about trying to overtake cars as quickly as possible. However, his charge ended when his attempted overtake on Verstappen sent him off-track and to the back of the pack. Another race recovery brought a sixth-place finish, but means that Hamilton is now only a matter of points away from the drivers’ title.